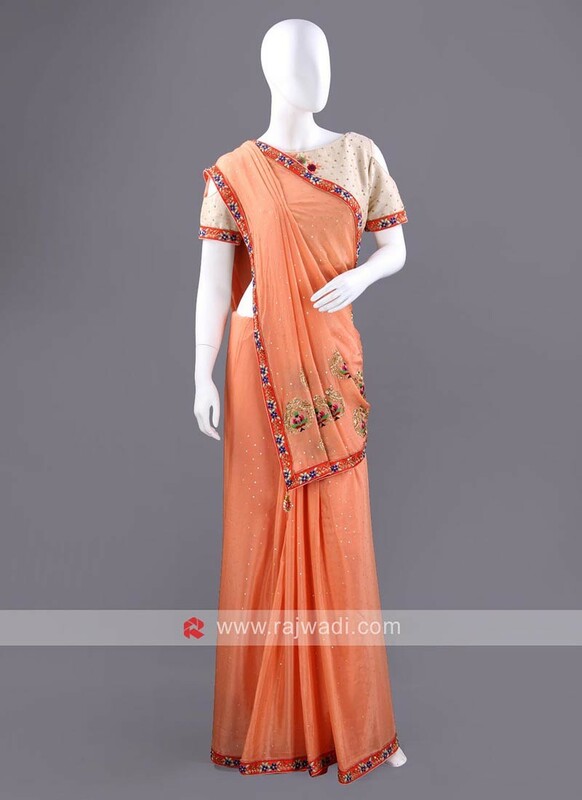 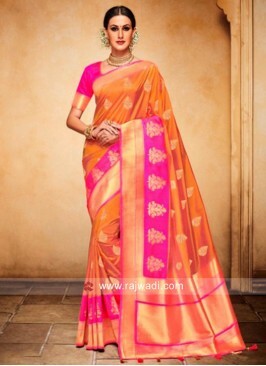 This stunning Peach Cotton Silk Saree having all over sequins detailing with embroidery work and has contrast lace border. 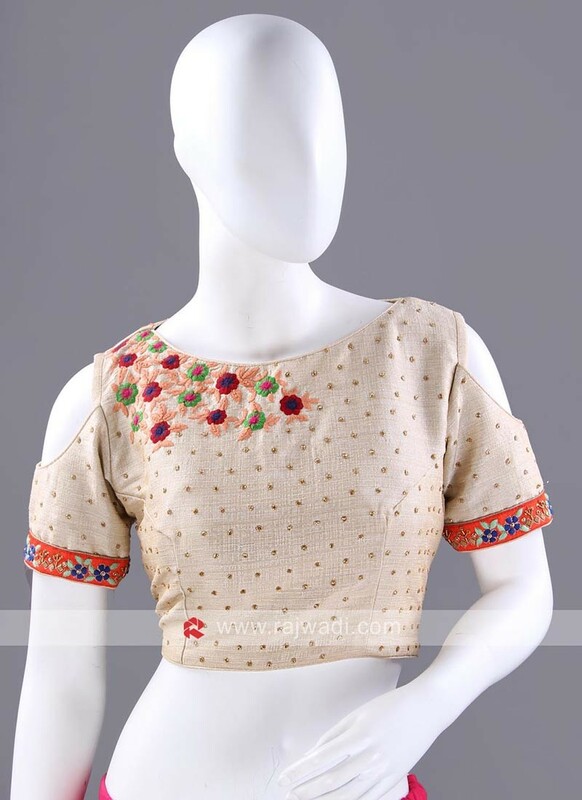 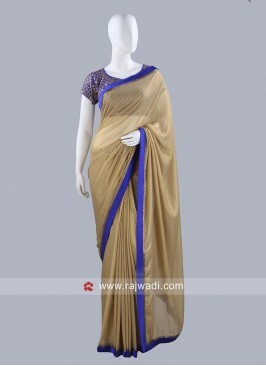 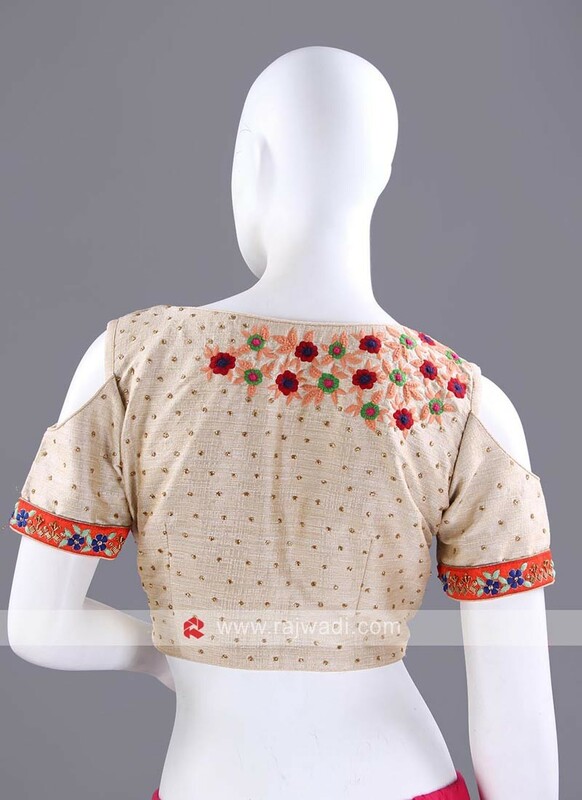 Paired with contrast Beige Raw Silk ready Choli features cold shoulder with half sleeves. 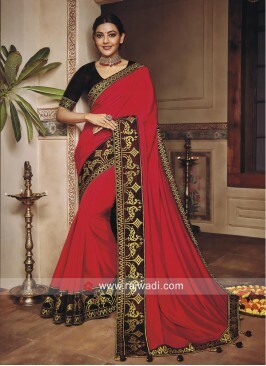 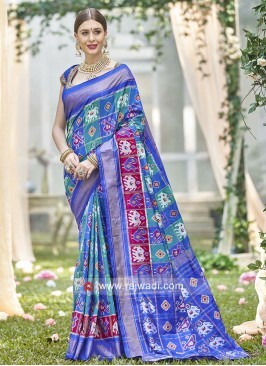 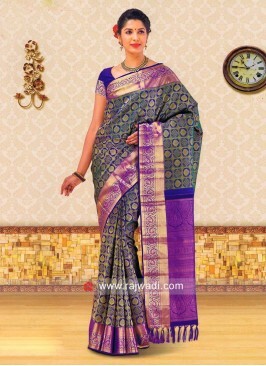 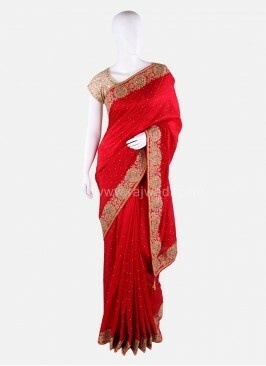 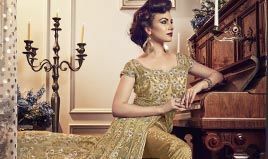 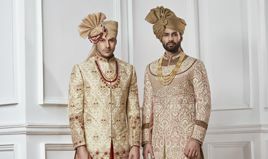 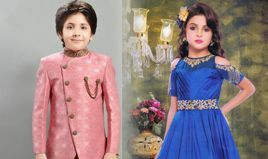 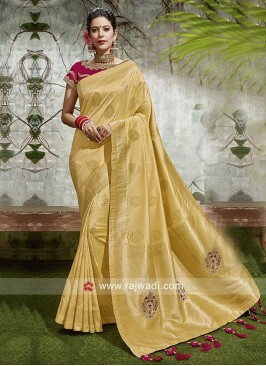 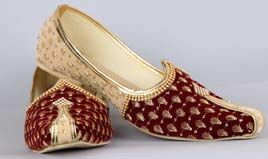 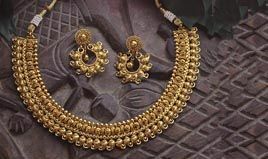 Zari and Resham Weaved Sa.. 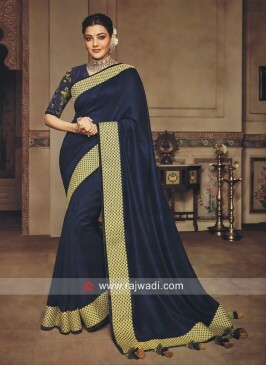 Silk Wedding Saree with D..
Resham and Zari Work Bana..
Kajal Aggarwal in Dark Na..
Green Heavy Work Saree wi..